DESIRABLE CYPRESSWOOD GOLF VILLA!!! Enjoy fantastic views of the 8th fairway from this 2 bedroom, 2 bath golf villa with living room, dining room combo, split bedrooms, and enclosed air conditioned Florida room overlooking the fairway. Features include a large master suite and master bath with walk-in shower, guest bath with tub/shower, cathedral ceilings, exterior gated courtyard entrance, and covered carport. Great maintenance free living in beautiful Cypresswood Golf & Country Club. This 24 hr. 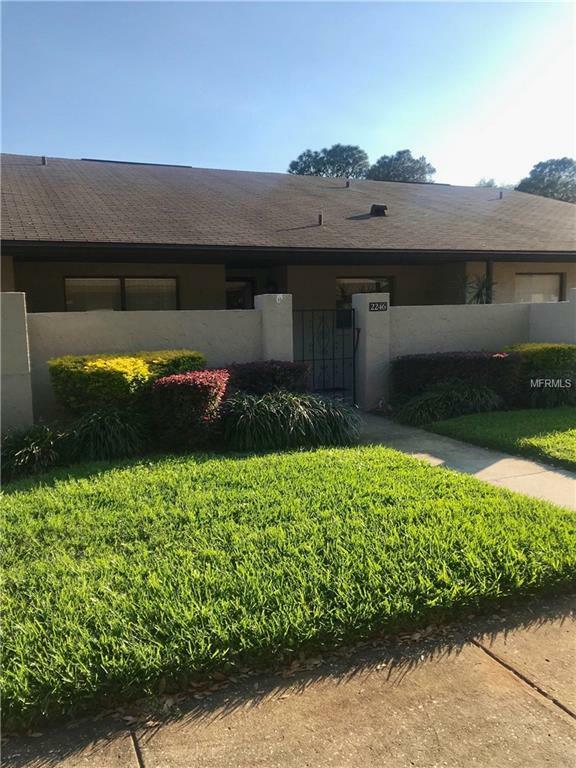 manned gated community offers, an 18 hole golf course, tennis & pickle ball courts, community pool, fitness center, clubhouse and restaurant, all just minutes to shopping, medical, LEGOLAND, and all major Florida attractions!!! Listing provided courtesy of The K Team Real Estate Services Llc.